This year my wife and I went as The Rocketeer and Ripley from "Aliens." 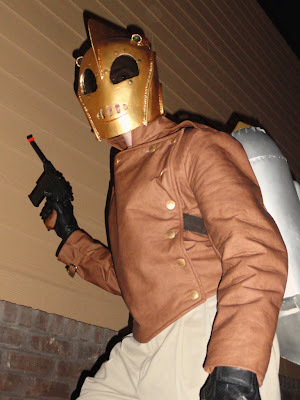 My helmet, rocket pack and jacket were made from scratch. 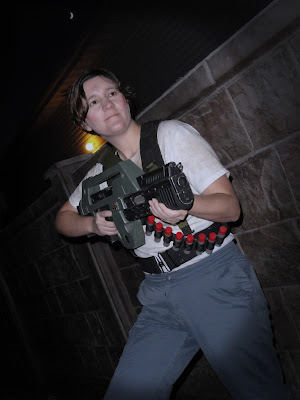 Nicole's Pulse Rifle was made from a Spatcave kit that I put together and then she painted it. Hope you like 'em. We had a blast putting them together! Find more photos of the costumes here!